Despite the threatening weather, Brinnington showed its support for the Art Festival by attending the opening ceremony. 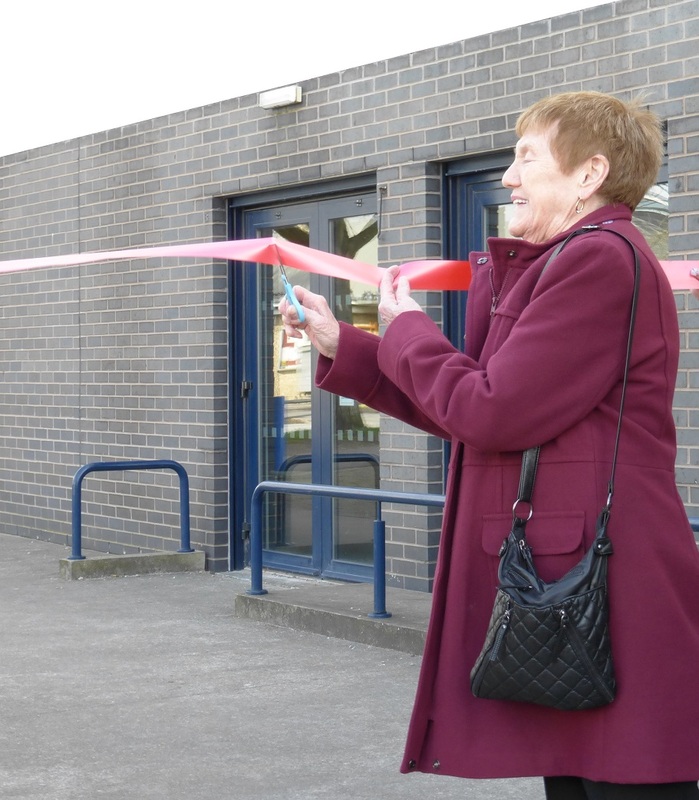 The Brinnington Arts Festival 2015 was opened by Cllr. Maureen Rowles who spoke out about the talent in our village, she had praise and respect for all artists. The brand new Brinnington Arts Festival Special Edition is here – fresh off the press. It contains articles on the groups who are taking part in BAF2015 and a timetable of events. Watch out for copies in First House, Brinnnington Surgery and around the village. With the Brinnington Arts festival just around the corner, Brinnington Media Group is gearing up for our busiest week ever: Covering every event and activity, spreading the word on the talented residents of Brinnington on social media, through this blog and our Twitter stream. 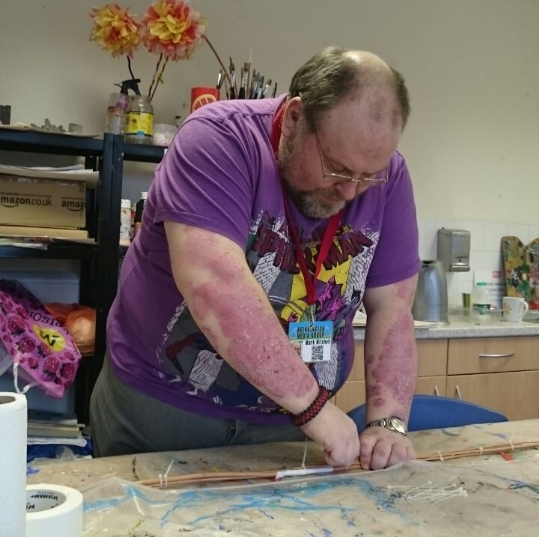 And our individual members are getting involved too – our Chairman Mark Mitchell has volunteered to build the Jabberwock creature that will lead Friday’s Day Parade. We managed to steal a few minutes from his schedule to discuss the project. MM: “The framework needs to be lightweight enough that someone can carry it around the parade route, flexible enough to fit through a doorway and strong enough to bear it’s own weight. 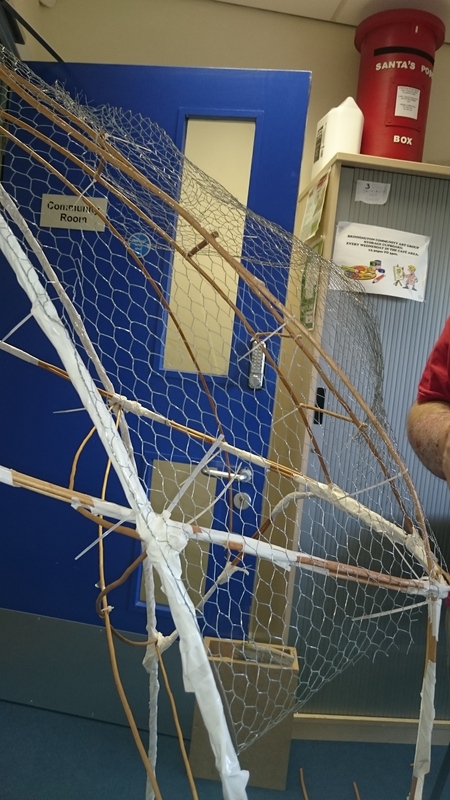 Fortunately, the Lantern Team were kind enough to let us use their surplus willow, which is the perfect material for this work – once it’s been thoroughly soaked you can work willow branches into all sorts of intricate shapes, but it also retains it’s strength and form when it dries out. And since the Jabberwock needs to have a living, organic look to it I don’t need to work too hard on symmetry and perfect curves or straight lines. MM: “Well, I’ve completed the actual frame and I’m in the process of overlaying the chicken wire, which is a slow and occasionally painful one. Once again, I find myself depending on the greatest accessory a modeler at this scale can have: cable ties! I really cannot over stress the usefulness of the humble cable tie – they give support while assembling, can be used for tensioning and shaping and come in a range of sizes that will support anything from a sheet of chicken wire to a willow strut as thick as your thumb!